Why is Khloe Kardashian's latest campaign 'problematic'? Killer selfies and carefully constructed social media profiles are the very currency of the Kardashians. However, youngest sister Khloe’s latest campaign – “Khlo-C-D” – has faced an online backlash from fans. The week-long “organisation” series has been criticised for making light of OCD rather than highlighting the true characteristics of the mental illness. Rich Taylor, obsessive-compulsive disorder sufferer and campaigner, says Khloe’s campaign “makes me despair”. “What do you have to do to get people to realise its not quirky or just about cleaning up?” he tells the BBC. “It’s a debilitating illness which has robbed me of years of my life when I should have been working and enjoying myself. Rich added that the series of articles and videos offering advice on how to organise your home does nothing to dispel existing beliefs on OCD. OCD is defined as a “serious anxiety-related condition where a person experiences frequent intrusive and unwelcome obsessive thoughts, often followed by repetitive compulsions, impulses or urges”. 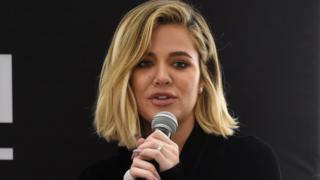 Mental health and lifestyle blogger Vix Meldrew, who counts herself as a big Kardashian fan, says the campaign is simply “a case of ignorance” towards the illness. Vix says she is disappointed in Khloe because she first used the phrase “Khlo-C-D” in an episode of Keeping up with the Kardashians in 2015 and is still referencing it three years later. “After that episode she must have had people reaching out to her or people telling her not to use that term,” she says. “I love the TV show and have been happy to see the Kardashians take on social issues on homelessness and Hurricane Katrina. Ellen Scott, who suffers from OCD, wrote her own personal response to “Khlo-C-D” as part of her series on mental health for Metro. She says that generally the Kardashians are good at apologising for various controversies, including Kendall Jenner’s Pepsi advert apology and Kim for apparently darkening her skin in a photo shoot. “It seems like Khloe’s the only one not responding to criticism,” she tells the BBC. One of the biggest issues for Ellen is also that this content – “Khlo-C-D” and the thin photo article are both part of a payable service on Khloe’s app and website. “Making this kind of content monetised is an extra slap in the face,” she says. Khloe Kardashian’s representatives have been contacted for comment.